Gravity has much rewritten the book on cinematic spectacle, taking Hollywood technical innovation to new heights - all the way up to outer space. The science fiction epic unsurprisingly achieved a landslide at the 86th Academy Awards, notching 7 Oscars including best director and best visual effects. Hailed as a cinematic masterpiece, Gravity is beyond all doubt one of the most sightworthy Academy Award movies. So if you've missed the film in theatre and want to watch Gravity movie on iPhone or iPad, below are some tips that make Gravity movie watching easily. Perhaps the easiest way to enjoy the 86th Oscar awarded movie is to access YouTube with Wi-Fi on internet. Yes, you can watch Gravity movie online by virtue of YouTube as long as you have network connection. But problems follow in case of maddeningly slow speed network and spotty connection. For a variety of reasons, there will be times that you need to download Gravity movie from YouTube as a backup so that you can watch the film offline time and time again. To be frank, it's no longer a secret that anyone can download movie and video from YouTube, so does the Gravity movie, and this is impossible without a special software like YouTube downloader. However, YouTube is constantly being improved, which affect the way YouTube videos are downloaded, making many YouTube downloader software stop working. But there is one exceptional tool called MacX YouTube Downloader, which catches up with the latest YouTube change and make every movie you download successful and easy. 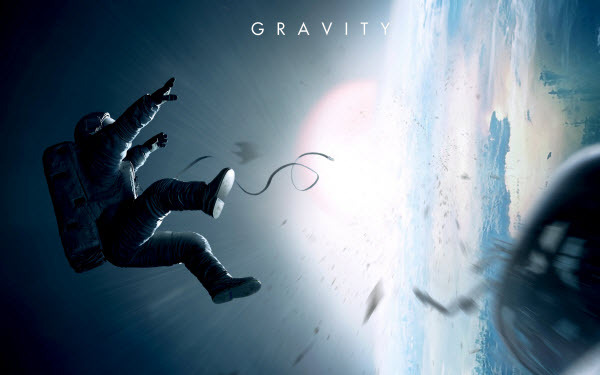 Step One: Find download Gravity movie you'd like to download from YouTube, copy and paste the URL of the Gravity movie page. Or simply click "paste & analyze" button to automatically detect the movie opened in browse. Step Four: Click "Download Now" to start downloading Gravity from YouTube on Mac. After a few seconds, you can save the movie and enjoy Gravity offline without loading, buffering and ads. Tips: For people who are interested in watching Gravity movie on iPhone, iPad, Android, etc on the go, its advanced edition MacX Video Converter Pro is worth a try. It can download Gravity movie on YouTube and convert the film to the mobile device you wish to play on. Therefore, you can watch Gravity movie on iPhone 5S/5C, iPad Air, iPad Mini with retina, Samsung Galaxy S5, HTC One 2 M8, etc. For movie followers, getting the best Warner Bros movie on DVD from Amazon or DVD store cannot be a good way to enjoying the masterpiece at home. Now that the Gravity DVD debuted on February 25, watching Gravity movie on DVD may slightly make up for the regret if you've missed the film in theater. Sometimes DVD is so fragile that even a fingerprint may result in unsmooth playing, let along careless scratch possibly done by naughty kids. So for DVD collectors, a solid way to forever keep Gravity DVD disc is to make a backup of the gravity movie from DVD to your hard drive for watching. Of course, it can be achieved via a DVD ripping program. But the truth is Gravity DVD published by Warner Brothers is encrypted with DVD copy protection measure built inside. So you have to find a professional one that can defeat the scheme. The good news is that MacX DVD Ripper Pro will be your ultimate solution, able to copy Gravity DVD movie in 15 minutes and rip Gravity DVD to AVI, MP4, MOV, FLV, MKV, WMV, etc. Thus you can watch Gravity movie on iPhone or iPad without taking along DVD. You can click here to know how to copy Gravity DVD and play Gravity movie on iPhone, iPad, Android on the go. How to make copies of protected DVD on Mac OS? MacX DVD Ripper Pro allows you to rip protected DVD to video TS so that you can burn Video TS to DVD for a backup. Copy DVD movie like Gravity, The Lego Movie, etc to DVD for Mac in a few clicks.